If you live in South Africa and did not complete high school then your chances of committing crime, being caught, and sent to jail are pretty high. 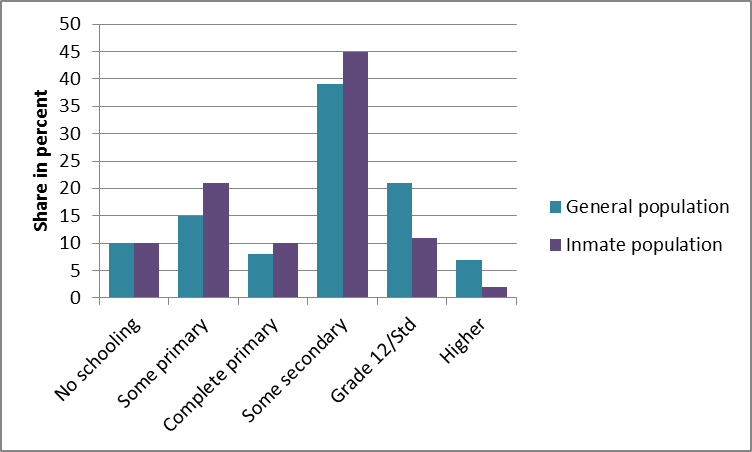 This is what we can tell from comparing the education characteristics of the population of inmates in South Africa with that of the population who was not in jail. A recent study that I conducted with a team of African and European researchers in the framework of the Southern African Young Scientists Summer Program confirms some findings from previous research, such as this 2010 study that found that education has a statistically significant effect on crime. South Africa spends about 8 billion dollars a year on public order and safety. 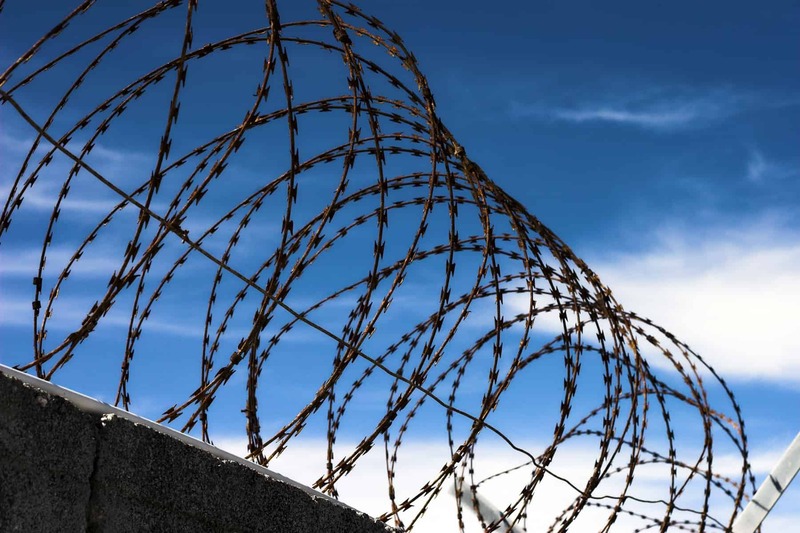 Violence and related injuries are the second primary cause of death in South Africa, and in the last 10 years, the prison population rate has been in a range from 300 to 400 per 100,000 people, one of the highest rates in the world. South Africa is still plagued with the after-effects of its apartheid history, which enforced sub-standard education for different racial groups, creating a polarized society. The disparity in education between white and other racial clusters actually widened after the fall of the apartheid government. At the same time—and not unrelatedly, as shown by our study—the apparently peaceful transition to a democratic regime was accompanied by a rise of crime and violence, a gauge of the dichotomized South African society and its high levels of social exclusion and marginalization. Indeed, our analysis of the 2001 census shows that the effect of education on criminal engagement – meaning in this study actually serving time in prison for a crime – differs by race. This suggests that there is an interaction effect between race and education. The negative relationship between being highly educated and the likelihood of being incarcerated is linear for respondents of mixed ethnic origin (or “colored” according to the South African classification), Indians, and to a lesser extent also for Africans. For white respondents, however, the effect of education creates a bell-shaped graph, with the richest and poorest people less likely to be in prison, and the medium levels of education associated with the highest probability to be in prison. This research provides another good incentive to invest in education in South Africa, and particularly to insist on all children completing upper secondary education finishing with grade 12. Education statistically significantly decreases the probability of engaging in criminal activity. Hence, it should be included in the National Crime Prevention Strategy, particularly in some targeted provinces within South Africa.